The San Diego Surf Cup continues to be the premier summer tournament for youth soccer, featuring the top teams in the nation and drawing the attention of thousands of spectators while attracting more than 500 college coaches and scouts. 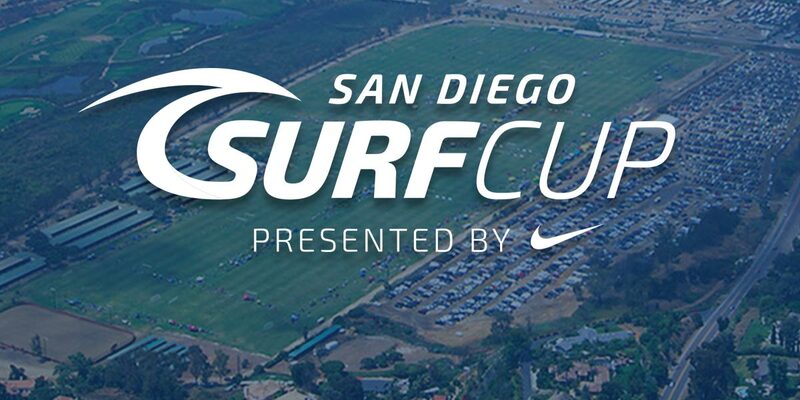 Surf Cup will once again be played at either SoCal Sports Complex in Oceanside or Surf Cup Sports Park in Del Mar. Both facilities are among the best in the nation, featuring up to 22 full size fields on pristine grass. Every year, Surf Cup flies in the best referees in the region to match the level of the best teams in the nation who will come together to produce epic matchups. Registration links and more information will be provided soon. Surf Cup Youngers U9-U14 will be held on August 3 to 5.